Year 3 – Resurrection Rock! 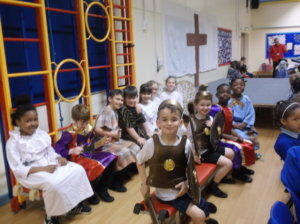 Year 3 did an amazing production of Resurrection Rock – in fact 3 times! 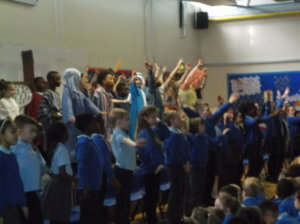 The show was presented to the whole school and everyone enjoyed it! All the children worked very hard learning lots of songs, and the staff worked tirelessly practising, creating costumes and scenery! Well done Year 3 and thank you to all the Year 3 staff!